"Following a comprehensive review of the Pharmapod platform, by both colleagues and myself, I found their system to be a technically sophisticated and ideal method for integrating error reporting and learning into the business practice of pharmacy, that has significant potential for enhancing pharmacy safety culture worldwide." 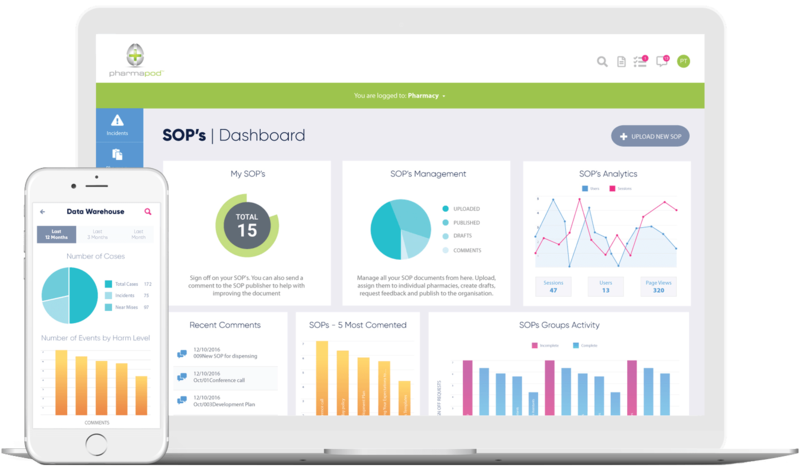 Because our platform is built by pharmacy professionals for healthcare professionals, Pharmapod is the leading cloud-based software for driving efficiencies and measures and reducing Patient Safety Incidents (PSIs) in community pharmacies, long term care, and hospitals. 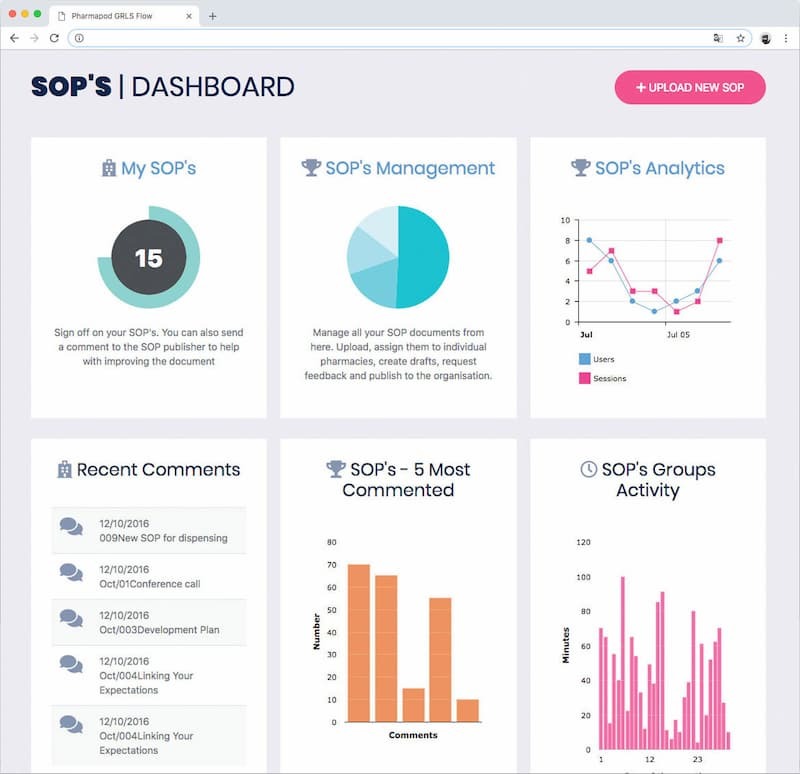 It is the first international platform of its kind to pool and share patient safety data across borders, monitoring trends and causes behind medication errors, and empowering healthcare professionals locally to improve their practice. Pharmapod is a professionally led solution; developed and led by pharmacists, we believe in the importance of a multi-disciplinary approach and the Pharmapod system has evolved to also meet the needs of other healthcare professionals such as physicians and nurses. 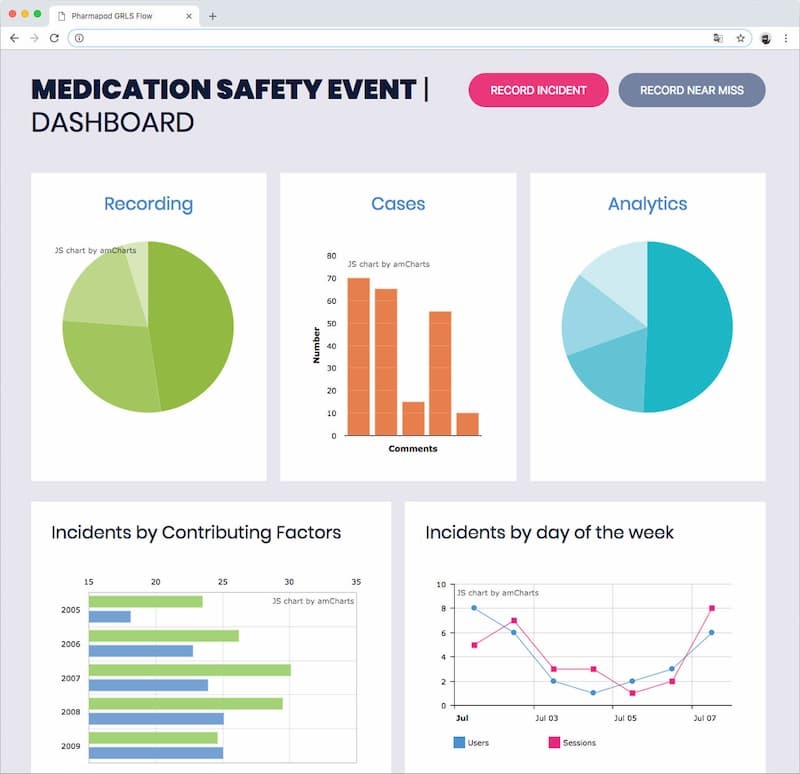 The Pharmapod Solution is a smart, intuitive and profession-specific platform that enables pharmacists to systematically record medication-related incidents and risks in practice and carry out effective root-cause analysis. Our system analyses the collated data and disseminates the learning back to the profession and key stakeholders internationally, preventing recurrence of patient harm. 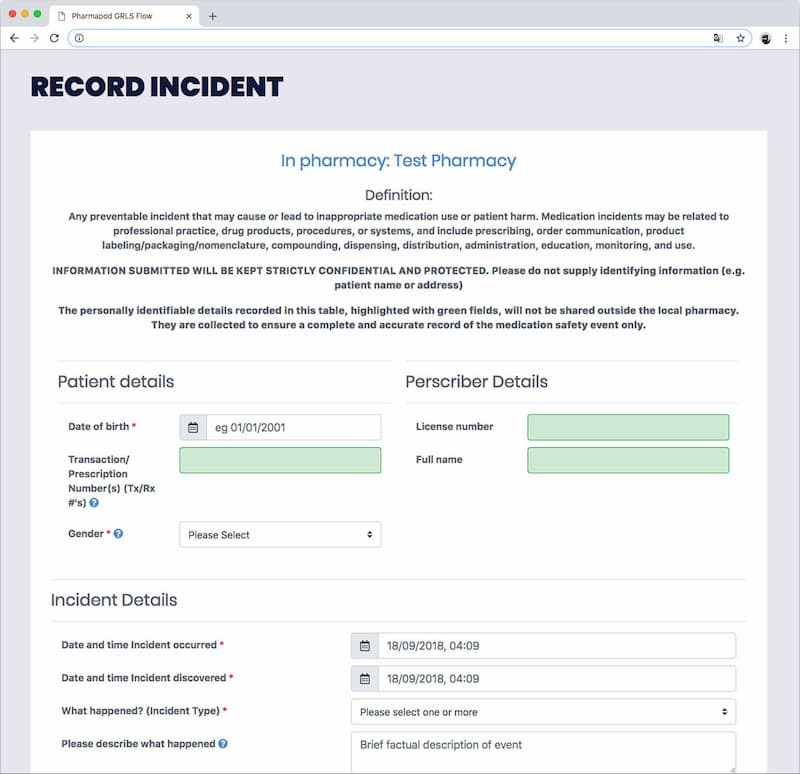 Standardised, rapid recording of medication-related incidents and near misses on a shared, secure online platform. Data fields are customisable for particular countries and organisations, ensuring local requirements are met. Fast and effective sharing of information is enabled at local team level as well as community level, nationally and internationally. Sharing of learnings and improvement stories keeps the focus on pro-active prevention of errors. Analysis and investigation of root causes of incidents by international response teams, gives health practitioners across the globe the ability to learn from each other and improve systems safety and standards of care. 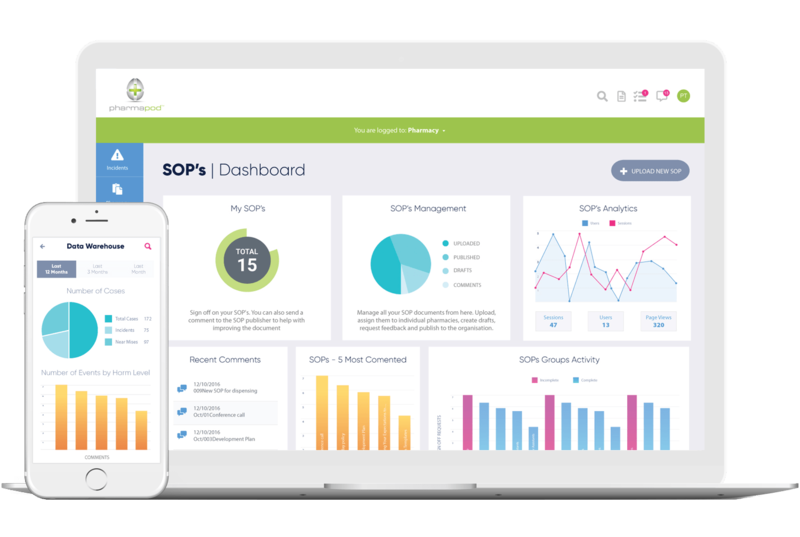 Pharmapod's award winning User Experience is succeeding at engaging teams at the coal-face of practice, fitting within their workflow and adding value to their day-to-day decision making. Our Customer Success team will assist you through each of the simple modules to demonstrate the simplicity of the system. Arrange a demonstration at a time that suits your schedule. 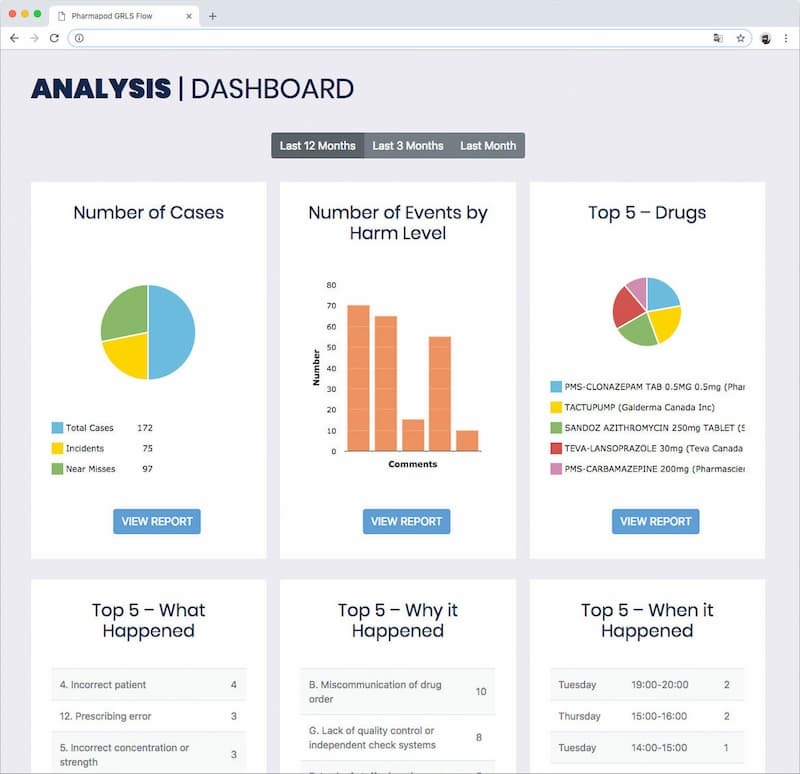 The Pharmapod system is an online system comprised of a comprehensive suite of CQI tools to help pharmacies, hospitals and long-term care facilities with their analysis of incidents that can record data in an anonymous, aggregated fashion, allowing information relating to these errors to be shared locally, nationally and internationally. This enables healthcare professionals to learn from errors recorded worldwide and put procedures in place so that medication errors are reduced on a global level. Provides pharmacy professionals with key insights into patient risks. 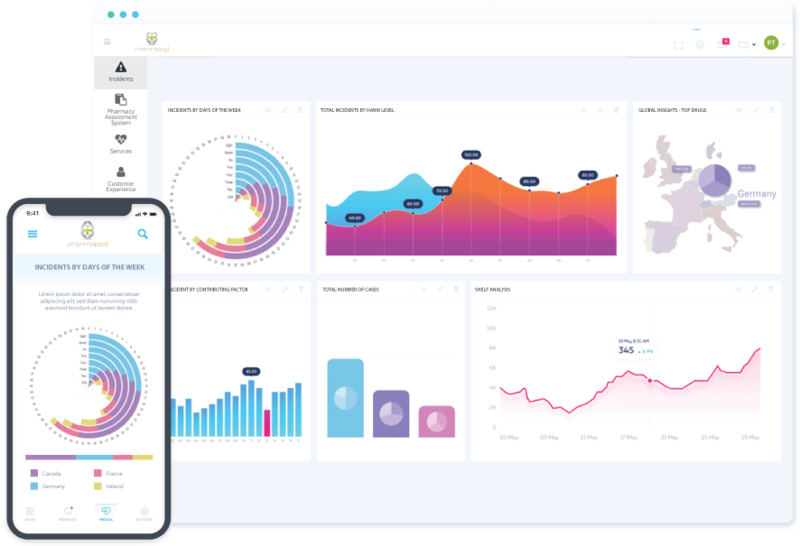 Generation of accurate high-quality reports quickly and simply to meet all governance, management and inspection needs. Captures learnings and facilitates planning of preventative actions and demonstration of system improvement. Consolidates quality and professional processes into a singular, intuitive cloud-based system. 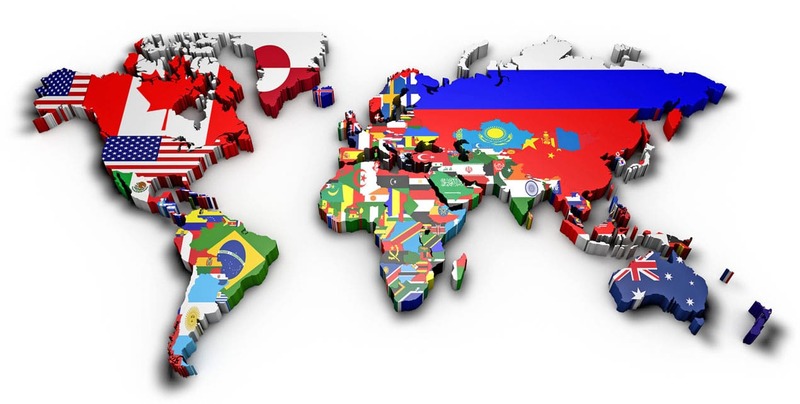 In response to the WHO's Global Patient Safety Challenge, we are setting up a local 'Response Team' in each country to review the data on medication errors that are submitted. We believe part of what is broken with the current health system is that there has been a focus on the collection of data but not an effective environment-specific 'response' to the data that makes it's way to the coalface of practice in the form of actionable, trackable preventative actions.